WASHINGTON (AP) — President Barack Obama is expected to rein in spying on foreign leaders and is considering restricting National Security Agency access to Americans’ phone records, according to people familiar with a White House review of the government’s surveillance programs. 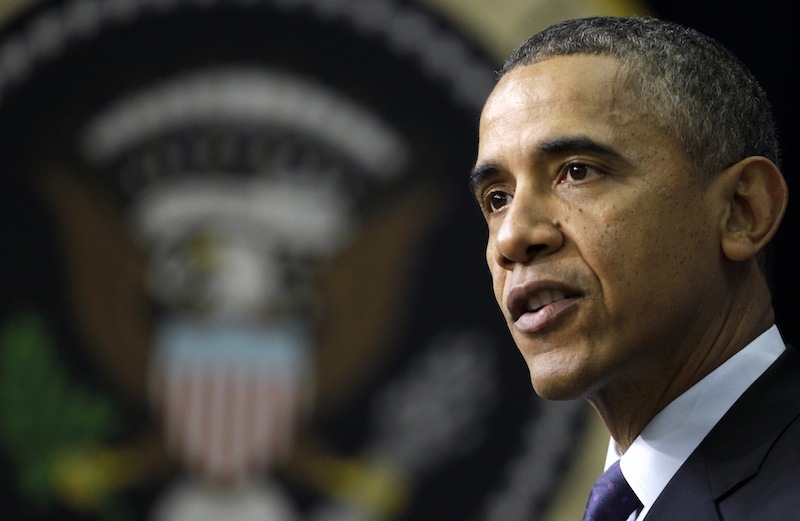 Obama could unveil his highly anticipated decisions as early as next week. On Thursday, the president is expected to discuss his review with congressional lawmakers, while his top lawyer plans to meet with privacy groups. Representatives from tech companies are meeting with White House staff on Friday. The White House says Obama is still collecting information before making final decisions. Among the changes Obama is expected to announce is more oversight of the National Intelligence Priorities Framework, a classified document that ranks U.S. intelligence-gathering priorities and is used to make decisions on scrutiny of foreign leaders. A presidential review board has recommended increasing the number of policy officials who help establish those priorities, and that could result in limits on surveillance of allies. Documents released by former National Security Agency systems analyst Edward Snowden revealed that the U.S. was monitoring the communications of several friendly foreign leaders, including German Chancellor Angela Merkel. The revelations outraged Merkel as well as other leaders, and U.S. officials say the disclosures have damaged Obama’s relations around the world. Obama and Merkel spoke by phone Wednesday, but U.S. officials would not say whether they discussed the NSA issues. The president also is said to be considering one of the review board’s most aggressive recommendations, a proposal to strip the NSA of its ability to store telephone records from millions of Americans and instead have phone companies or a third party hold the records. The NSA would be able to access the records only by obtaining separate court approval for each search, though exceptions could be made in the case of a national security emergency. It’s unclear whether Obama will ultimately back the proposal or how quickly it could be carried out if he does. Members of that oversight board met with Obama on Wednesday and have briefed other administration officials on some of their preliminary findings. In a statement, the five-member panel said its meeting with the president focused on the NSA phone collection program and the Foreign Intelligence Surveillance Court, which oversees the data sweeps. It’s unclear why Obama will announce his recommendations before receiving the report from the privacy and civil liberties board. One official familiar with the review process said some White House officials were puzzled by the board’s delay. The report would still be available to Congress, where legislators are grappling with several bills aimed at dismantling or preserving the NSA’s authority. That official and those familiar with the White House review insisted on anonymity because they were not authorized to discuss the process by name. Obama also met Wednesday with members of the U.S. intelligence community, which largely supports keeping the NSA surveillance programs intact. Shortly after receiving the review board recommendations last month, Obama signaled that he could be open to significant surveillance changes, including to the bulk collecting of phone records. The president also has backed the idea of adding a public advocate position to the Foreign Intelligence Surveillance Court, which rules on many of the domestic surveillance decisions. The court typically hears only from the government as it decides cases, and the advocate would represent privacy and civil liberties concerns. That review followed disclosures from Snowden, who leaked details of several secret government programs. He faces espionage charges in the U.S., but has been granted temporary asylum in Russia. While Obama has said he welcomes the review, it’s unlikely it would have occurred without Snowden’s disclosures. Last month, U.S. District Judge Richard Leon ruled that the NSA’s bulk collection program appeared to violate Fourth Amendment protections against unreasonable searches, but he didn’t issue a preliminary injunction against unreasonable searches because of expected appeals. Late Wednesday, Justice Department lawyers asked Leon to halt further proceedings in his court on the NSA case and a second NSA-related lawsuit until the U.S. Court of Appeals for the District of Columbia Circuit hears the government’s appeal of his December ruling. Government lawyers said they were asking for the judicial stay from Leon because they were concerned that further court proceedings could jeopardize classified information about the surveillance program. Larry Klayman, the conservative lawyer who filed the suit, has said he plans to ask the U.S. Supreme Court to hear the case.